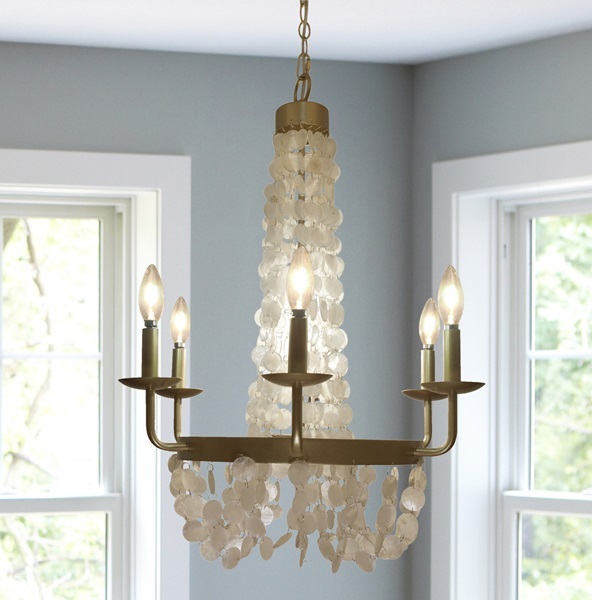 Bring a touch of the sea into your home! 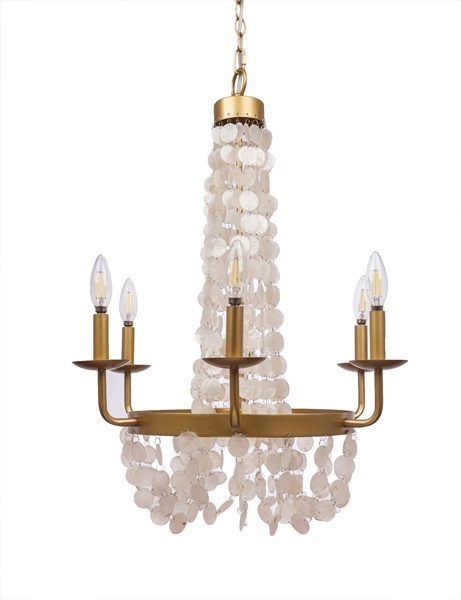 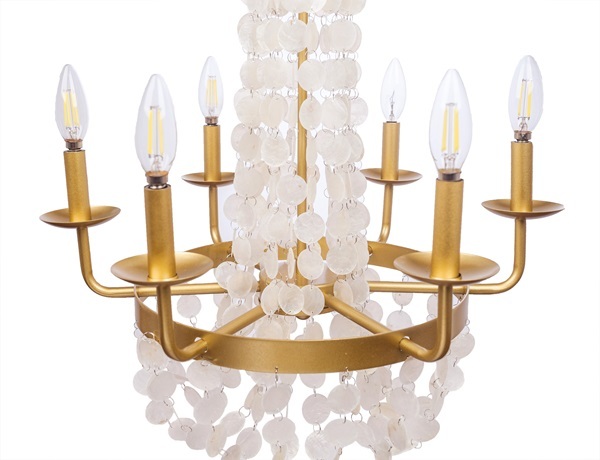 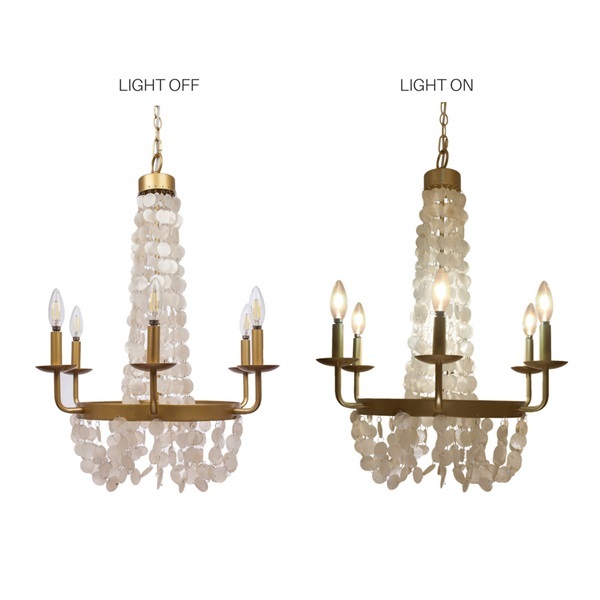 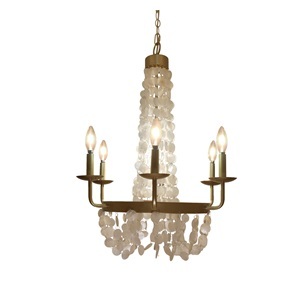 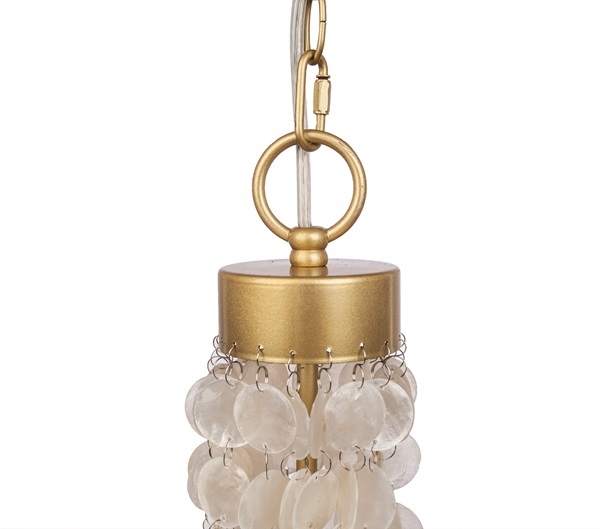 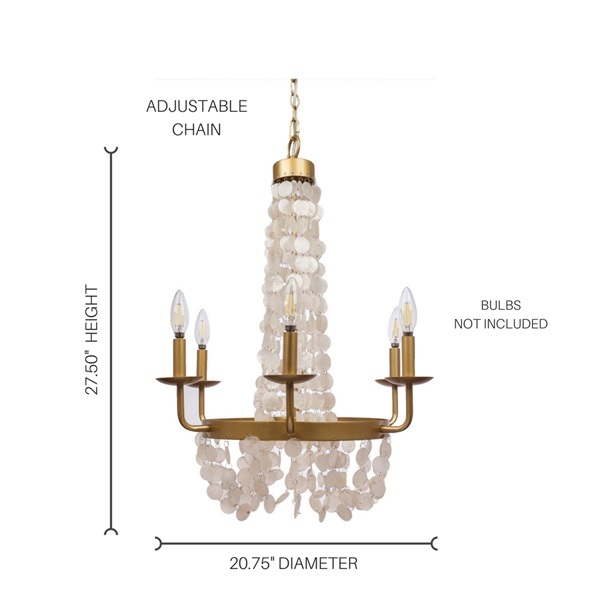 This Capiz shell hanging chandelier offers organic beauty accented with a gold tone metal. 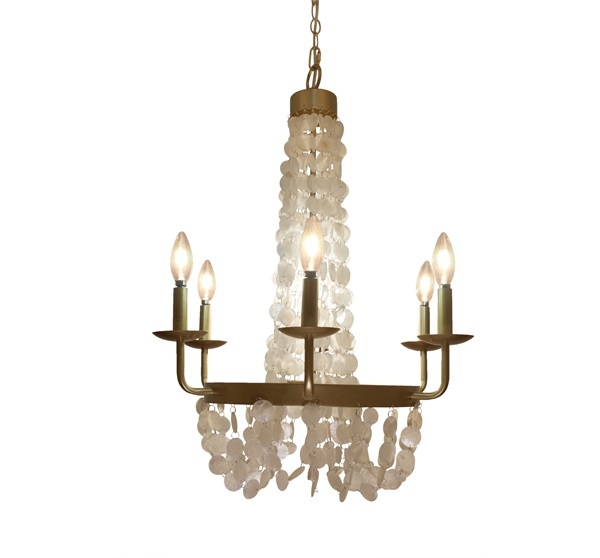 More than 350 shells are draped together giving a soothing look and feel. 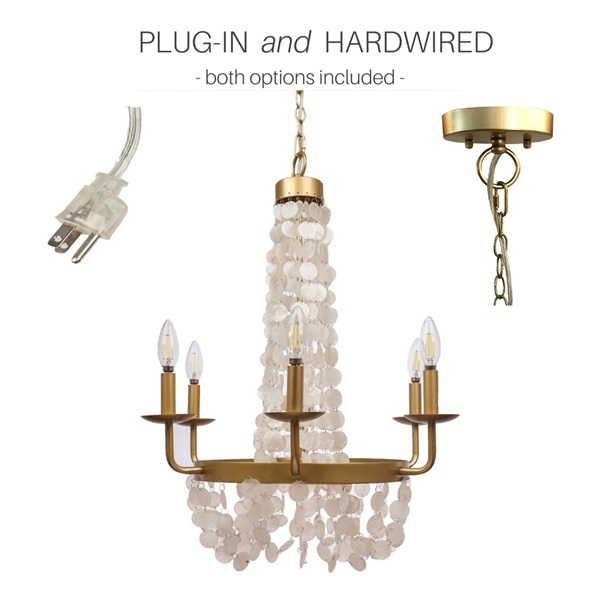 This chandelier offers not only functional beauty, but also versatility as it is dual powered allowing you the option to hardwire or simply plug in!